A few weeks ago, Alexas across the globe started laughing. Owners were left seriously disturbed after Alexa began cackling for no apparent reason. The creepiness of smart devices that we willingly place into our homes and offices, for the sake of convenience, can rarely be perceived so obviously. Was it really worth bugging our own homes to be able to turn the lights on and off from our beds? Smart devices like Amazon Echo boast sleek designs that seamlessly blend ambient surveillance into the modern home décor. In order to answer commands, voice assistants whether produced by Google, Apple or Amazon have to constantly listen to their environment to respond when a request is made. Thus a large and broadly unknown portion of what is being said is recorded and saved onto external, centralised servers – more acceptably known as a fluffy ‘cloud’. If you want to even try to get to grips with the privacy implications and security risks, you’ll need a lawyer and a dedicated few hours reading the terms and conditions, privacy policies, and local legal frameworks. 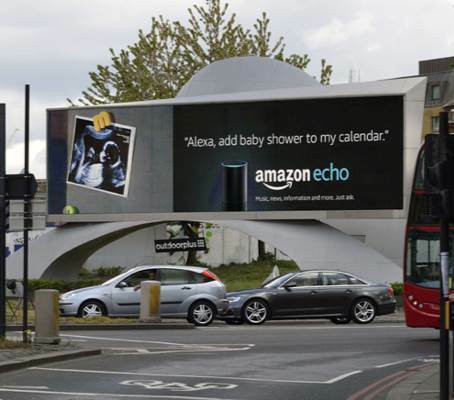 But how do Echo owners feel when their commercial monitoring device is deputised to the police? According to The Intercept, Amazon is partnering with Lancashire Police to broadcast crime updates, photos of wanted and missing people as well as safety notifications through Amazon Echo. But that’s not it. The force has plans to allow citizens to report crimes straight through the device by the end of the year – which means the police can listen back. What does this mean for anonymous reporting? And should this sensitive information really be stored on the servers of a commercial third party instead of storage owned by the police? These plans are a stark reminder of how far tech companies have reached into our daily lives and their increasing interweaving with public services. The potential for abuse is enormous. When people brush off privacy concerns based on the idea that they have ‘nothing to hide’, they forget that there are plenty of reasons why conversations about their awful boss, emotional distress, political opinions, health issues or a fight they’re having with a loved one aren’t conversations they’d want to unwittingly leave the privacy of the home. From the very beginning there have been plenty of warnings about how connected devices snoop on their owners– yet sales weren’t affected. Maybe Alexa was laughing at us because we ignored all these signs.